First Call Fire Services was established in 2013 by Director Brent Thomas to provide a reliable and trustworthy service for Builders, Project Managers, Developers, Architects and Consultants to rely upon, to cater for all facets of their Fire Protection needs. We employ modern technology coupled with a highly skilled workforce to ensure that our clients are always confident in the installation and services that we provide. At First Call Fire Services we will always strive to meet our client’s needs. Prompt service, advice and providing documentation in a timely manner is our benchmark. We are a family based business with family values. We will always treat clients, associates and the general public with courtesy and respect. We will strive to meet our client’s needs so that when a client requires a Fire Contractor we will be their “First Call”. We happily assist with project design which invariably leads to cost savings for our clients. Make sure your ‘first call’ is to First Call Fire Services. You won’t be disappointed! Address: PO Box 457 Mooroolbark Victoria 3138. The Australian Valve Group is a privately owned Australian company, headquartered in Perth, Western Australia with a national distribution network throughout Australia with offices and warehousing in Perth and Melbourne. The primary focus of the company is to design, manufacture and distribute a range of heating and control valves for the world and the Australian domestic, industrial and commercial plumbing industry. AVG as a company is fortunate to have a talented team dedicated to offering new and innovative products to the plumbing industry. AVG owes its success to the vast experience and knowledge of its people which has helped develop a range of superior quality, “plumber friendly” valves. Our vision is simply to be the most competitive producer – by providing the best quality products, services and processes. We do this by taking on board individual customer requirements and consultation with plumbers and the plumbing industry. Snap Lilydale is your go-to destination for print, design and websites. Their team of professionals can give you expert advice and cost-effective solutions for your online and offline marketing needs. They offer a wide range of services for small and medium sized businesses and no job is too big or too small for them to handle. Snap Lilydale can help your business with all of its traditional printing needs; including business stationery, business cards and corporate reports. They can also help you with less traditional printing such as posters and promotional materials. If you need custom work done you can work with their graphic design team to create personalised artwork or logos. You can also count on Snap Lilydale for online marketing. They offer websites, email marketing, QR codes and ePublications that allow you to connect to your clients online. Their team will show you how affordable and easy online marketing can be with Snap’s services. Visit this award-winning Snap Centre to get started on growing your business. Franchise Owner David Deakin looks forward to meeting you and working with you soon! Snap Lilydale proudly services the following Victoria suburbs: Lilydale, Mooroolbark, Mount Evelyn and area. 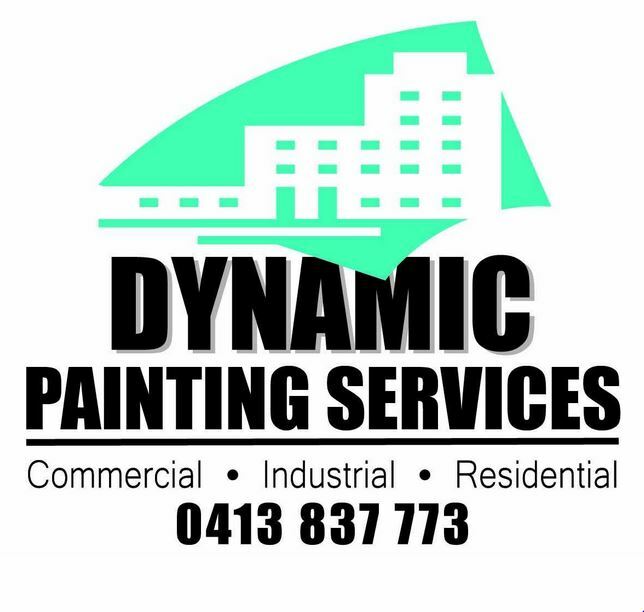 Address: 100 Main Street, Lilydale, VIC, 3140. Milestone Chemicals Australia operates in the cleaning industry as a manufacturer, distributer and supplier of cleaning chemicals, paper products and cleaning accessories, representing best quality and value for money. Milestone Chemicals Australia is wholly Australian owned and operated, and has been manufactoring since 1948. Belmore Travel is a member of the award winning 2015 best travel agency group Travellers Choice and leading cruise specialist Cruiseco, we have delivered personalised service, unbiased advice and excellent value to travellers for over 25 years. Belmore Travel caters for any individual requirement for both domestic and international travel and are happy to assist you in all aspects of travel, we are ATAS accredited meaning we are trusted, reliable and experienced at providing quality travel solutions suited to you. Book with Belmore Travel to share our world of experience and travel with confidence. Kalow Holdings Pty Ltd is an Australian owned family operated Construction Company. Kalow Holdings was established in 1987 by Eddie Gammell (Managing Director) and sons Edward Gammell (Director), Thomas Gammell (Qualified Plumber), who have over 40 years combined experience in road drainage and civil construction. We provide contracting and construction services to State Authorities, Rural Shires,VicRoads, Developers & Contractors that include major pipeline and drainage construction and environmentally sustainable water ways. By Design Holistic Health, Osteopathy and Nutritional Medicine Health Coaching, established in the Yarra Valley in 2003, welcomes all people, where we passionately want your BEST health to be restored. When you see one of our Osteopaths – Your health is our specialty! Currently, 3 Osteopaths Samara, David and Sheree willing to chat with you about any muscle, joint or other health problem. Heritage Holden has been proudly servicing the Lilydale and Yarra Valley community for many years. A well respected, family business, headed by Dealer Principal, Brian Parsons, Heritage Holden prides itself on friendly, professional service ready to provide you with all the help you need. Whether you’re after a top of the range, world class Commodore or a quality used vehicle – we’ve got the right car at the right price. We can also assist you with insurance and finance solutions and even help you with vehicle maintenance tips. Our high tech service department with Holden trained technicians will ensure your vehicle is maintained at the highest standard to ensure you many years of motoring pleasure. We welcome you to call in to our dealership and experience pure driving pleasure. 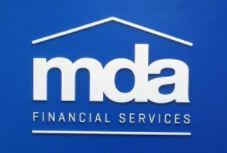 Our motivated Mooroolbark team is led by Directors Daniel Bolton and Reilly Waterfield, who are passionate about offering the premier Fletchers service to Mooroolbark residents and those looking to call the area home. Daniel is a long-time local resident and understands the attraction the area has, particularly with families, with its reputable local schools, sporting grounds and amenities such as Eastland being so close. We continue to see Mooroolbark and surrounds evolve, with several improvements earmarked for transport, including the train station and development of the roundabout, for example. We believe that it’s so important when selling your most important asset; to engage an agency that is both progressive and professional. For a long time, people in Mooroolbark didn’t have a lot of choice when it came to real estate agencies. At Fletchers, we’re focused on personal service and top-class professionalism that people haven’t been used to in the area. Located on Manchester Road, we encourage you to drop in and visit our friendly team – the door is always open! Waterside Electrical is a Melbourne based electrical company committed to providing high-end, top-quality electrical work to its wide and diverse range of clients. Operated by forward-thinking electrician Daniel Coghlan, Waterside Electrical is an industry leader when it comes to efficient, prompt and fairly-priced services. We work with domestic, commercial and industrial clients across a range of areas. 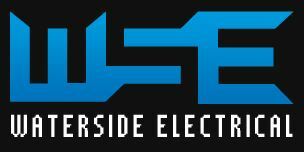 Waterside Electrical specialises in the most professional, innovative and cost-effective electrical solutions in Melbourne. Talk to our team of experienced, qualified tradesmen about choosing and implementing the right options for your home or business. Oakdale Funerals provide beautiful, personalised and affordable funeral services to families in the Eastern Suburbs and beyond. Anne & David are a husband and wife team who work closely together to constantly uphold their business mission – to provide expert and gentle Care, lower funeral Costs and freely offer the many available Choices. This makes them stand apart from larger providers.